Despite being a fashionable timepiece, the Apple Watch is also an advanced piece of technology and, unfortunately, may find itself failing or facing issues as any other computerized device would. This guide identifies some of the most common Apple Watch issues and how you can go about attempting to repair them. Your Apple Watch is a fully functioning miniature computer that lives on your wrist, so issues might not be traced back to the same cause. A complete computing solution means that there are a plethora of different problems and solutions available depending on what exactly is occurring with your Watch. Occasionally, you may find that your Watch refuses to connect to your iPhone, a known Wi-Fi network, or an LTE connection. Follow these steps to get your Apple Watch back in communication with the world. Turn Bluetooth Off: If your iPhone and Watch are having trouble communicating, you should begin by turning off the Bluetooth function on each device, then turning it back on to reestablish a connection. Restart Your Devices: If simply deactivating your Bluetooth for a moment doesn't fix the communication issue, restart both your iPhone and Apple Watch in an attempt to reestablish a normal connection. Don't know how to turn off your iPhone? Simply hold down the Power button then ask Siri — how do I turn off my iPhone? Restore an LTE Connection: If your Apple Watch normally connects to the internet via a cellular connection, but has ceased to do so, begin by either toggling Airplane Mode on and then off, or restart your device completely. If you are still unable to establish a connection with your cellular network, we recommend giving your cellular provider a call for additional support. Connecting to Wi-Fi Networks: If your iPhone is not around, your Apple Watch can attempt to connect to a known Wi-Fi network for internet access. If your Watch is not connecting, ensure that your iPhone has access to the network and has had a chance to share the information with your Watch. Improper Pairing: If you recently restored your iPhone or purchased a new device, your Apple Watch may not be properly set up with your phone. Follow our guide on how to easily pair an Apple Watch with an iPhone for more detail. Is your Apple Watch draining its battery rapidly? Here are a few suggestions you may wish to view to get your device's battery under control without hassle. Enable Power Saving Mode: If you're looking to stretch your Watch's battery life, the easiest option is to enable Power Saving Mode in the Apple Watch app; this will disable the heart rate sensor from activating during walking and workouts. The feature will make you calorie burn less accurate, but will help to preserve your battery life. Optimize Your Apple Watch: If Power Saving Mode isn't doing enough, you can further reduce your watch's consumption by limiting notifications that light up the screen and shutting off Wi-Fi on your Apple Watch. Give it a Reboot: Sometimes everything is as simple as a reboot. If your Apple Watch seems to be draining battery life like there is no tomorrow, simply turning the watch off then back on again may be helpful — do so by holding down the Watch's side button until Power Off function shows. 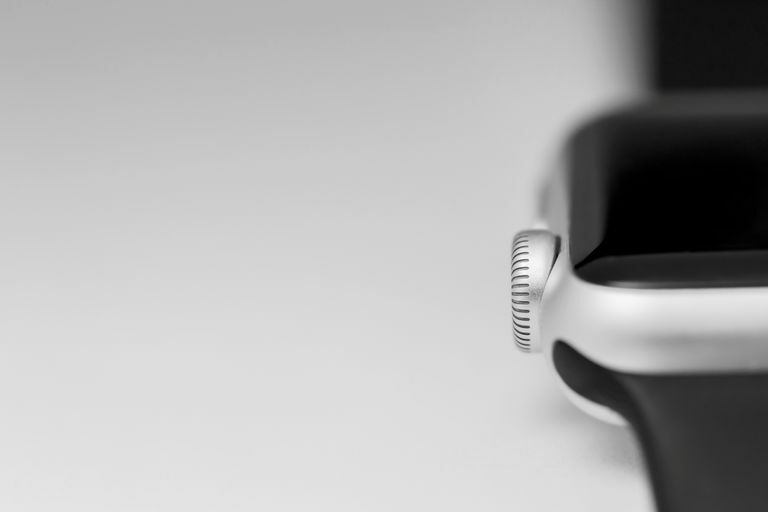 Continuing to hold down the side button after the Power Off function appears will trigger your Watch to issue an SOS distress. Release the button if your watch beings beeping to prevent SOS from engaging. Get Your Watch Charging Again: If your Apple Watch battery has ceased to charge, it may be damaged. We recommend calling Apple for support or scheduling an appointment with an Apple Store Genius Bar. None of the Apple Watch's hardware is serviceable by users at home, and will typically require a Genius Bar appointment or support call to get fixed; however, here are a few suggestions for common issues. Get The Digital Crown Working Smoothly: Apple's Digital Crown has been known to have issues where it may become difficult to turn if dirty. To remedy the situation, take off your Apple Watch bands, then rinse the device with warm water, while rotating the Digital Crown for about 30 seconds. Repairing Broken Screens: Unfortunately, if your Apple Watch's screen has become damaged, it must be repaired by an authorized Apple repair facility. We recommend taking the watch to your local Apple Store for a Genius Bar appointment. Have Your Heartrate Sensed: Is the Apple Watch not picking up your heart rate? Don't worry, you are still alive! Being by ensuring that your Apple Watch is secured tightly enough against your skin, as a baggy watch won't track anything. Additionally, if you have dark colored tattoos on your wrist, your watch may refuse to track the heart rate as it is unable to sense your vein. If your Apple Watch is suffering from a number of different software issues, or simply one that you can't overcome. Apple Support may recommend that you reset your Watch. Follow our detailed guide on how to reset your Apple Watch by yourself at home before heading into a store. Resetting your Apple Watch will erase all of its settings and data — proceed with caution and ensure that your Watch is properly backed up before attempting the process. If you continue to have issues with your Apple Watch, we recommend contacting the manufacturer by phone or setting up an appointment at a local Apple Store's Genius Bar for further examination. Through these methods, a remedy can be recommended based on your device's current warranty status.